May be you all remember Sony Ericsson Xperia Active. It was one of the most rugged smartphone of all time! Now Sony era has begun. Sony just announced two new rugged Android phones. Among these two, Xperia go(also known as Sony Xperia Advance) is more rugged than Sony Xperia acro S. The Sony Xperia go has a 3.5” Reality display of 480 x 320 pixel resolution, a 1 GHz dual-core processor, 512MB of RAM and 8 GB of internal storage. At the time of release Xperia go will run Android 2.3 Gingerbread but it should be upgradeable to Android 4.0 Ice Cream Sandwich later on. On the back it has a 5 megapixel shooter capable of shooting 3D panorama shot with 720p HD video. 3.5” Reality Display powered by Mobile BRAVIA Engine gives razor sharp clarity. 5MP fast capture camera goes from sleep to snap in just over a second. Scratch resistant mineral glass display with wet finger tracking. Highest level of dust and water resistance in a smartphone – IP67 Rating. 1Ghz dual core processor gives consumers super fast performance. Launching on Android 2.3 (Gingerbread), upgradeable to Android 4.0 (Ice Cream Sandwich). Available in black, white and yellow colours. 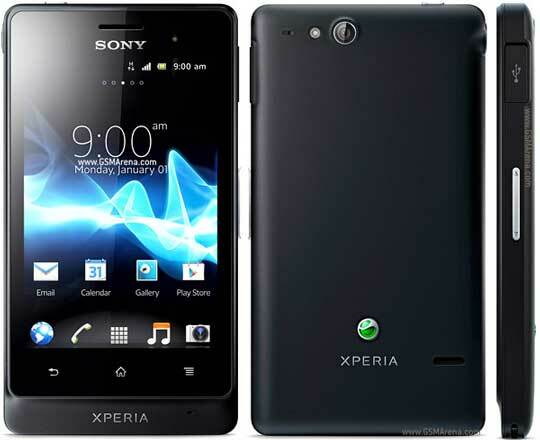 Xperia go will launch in the US market under the name “Xperia advance”. The Sony Xperia go meets the IP67 rating, making it a real survivor of a phone. It offers protection against water and dust. The Xperia go will be available in black, white and yellow colors. It will be available worldwide from Q3 2012. There is no word about Sony Xperia go pricing yet.